Greet your 60s with a strong body and a healthy mind. 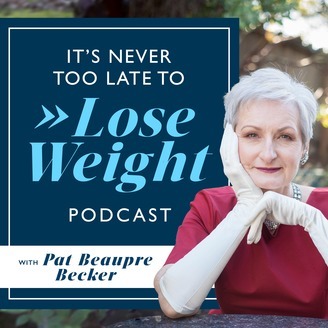 It’s Never Too Late to Lose Weight is a podcast for women approaching 60 who have been successful at everything but reaching their weight-loss goals. 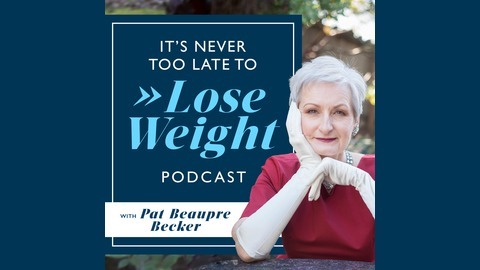 Using the latest in neuroscience, and obesity and health research, your host, Certified Weight and Life Coach, Pat Beaupre Becker, teaches you about the properties of food and how they affect your appetite, your desire, your mood and your brain. Tune in each week for tools and strategies to free yourself from constantly thinking about your weight and create an amazing life. Visit https://Never2late.info/guide to download your Quick Start Guide to sustainable weight loss. Did you know that 95% of disease is lifestyle-related? Could you ever imagine losing weight on holiday? Have you ever considered getting a health coach, but you worry about the time you need to put in or the financial investment? Learning new skills takes time, effort, and focus. Sometimes, the adventure of weight loss doesn’t feel very positive or inspiring. But, do not worry! Sometimes, you just need a health coach to push you in the right direction. In this episode, we will learn more about the role that emotions and thought patterns play when triggering our cravings and how to train yourself into a positive thinking pattern that allows you to love food that loves you. I have the honor of speaking with two of my coaching clients on their inspirational weight loss experiences so far with the guidance of yours truly as their health and weight loss coach. After this episode, you’ll feel inspired to “step up” your weight loss journey and begin that healthy, positive lifestyle that you always dreamed about! Why is daily practice important on your health and weight loss journey? What are all the health and lifestyle considerations that you need to reflect on for weight loss success? How can you make the choice to resist that pizza without it feeling like you’re missing out? What is “The Model” for health and weight loss and how does it help my wonderful clients stay focused and inspired on their health journeys? Why is it important to change your thought patterns and to understand emotional triggers in a weight loss journey? Are you ready to go on a weight loss adventure with a coach? Let me lead the way! Send an e-mail to pat@beauprecoaching.com. Ep #37: The Diabetic Brain in Alzheimer’s Disease with Ralph Sanchez, M.T.C.M., CNS, D.Hom.